The easiest way to grow your membership is to keep existing members loyal. Unfortunately, that’s almost impossible if you’re working with outdated retention strategies. Building member retention today requires a fresh approach. Start by measuring your members’ loyalty. Then, mine your existing membership data for new insights on where and how to use retention programs to drive the greatest return on your investment. Finally, take advantage of new audience segmentation and communication techniques to raise engagement—and increase renewals. Here’s how to do it all! Register now for Keeping Your Members on Board: Techniques and Strategies for Successful Member Retention. In this 90-minute webinar, Laura Alin—Customer Success Manager at MemberClicks and former Chamber of Commerce executive—will share today’s best new secrets for keeping members engaged and committed to supporting your purpose. From strategies that enable you to measure members’ current levels of loyalty, to surprisingly simple techniques that can quickly raise engagement and renewal rates, you’ll learn fresh ways to keep membership (and dues revenues) growing. Turn existing data into valuable new insights. You’ll learn how to analyze your membership data not only to predict who’s likely to renew, but to align segmentation and communication strategies with your specific membership renewal challenges—and opportunities. Plus, you’ll have the chance to ask your own questions during the Q&A portion of the webinar. Remember, the more existing members you retain, the easier it is to grow your organization. Don’t miss this chance to learn how to measure—and raise—member engagement and renewals. 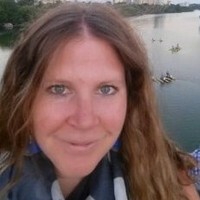 Laura Alin is a Customer Success Manager at MemberClicks, responsible for driving retention efforts as well as leading custom and on-site training. Before joining MemberClicks, she spent 3 years working for a chamber of commerce as the Program & Operations Manager, where she organized and ran events, managed the website and social media, was in charge of all financials, and served as the database Guru for all staff. Born and raised in Silver Spring, MD, Laura attended the University of Maryland to pursue a degree in Marketing and International Business, with a minor in French.